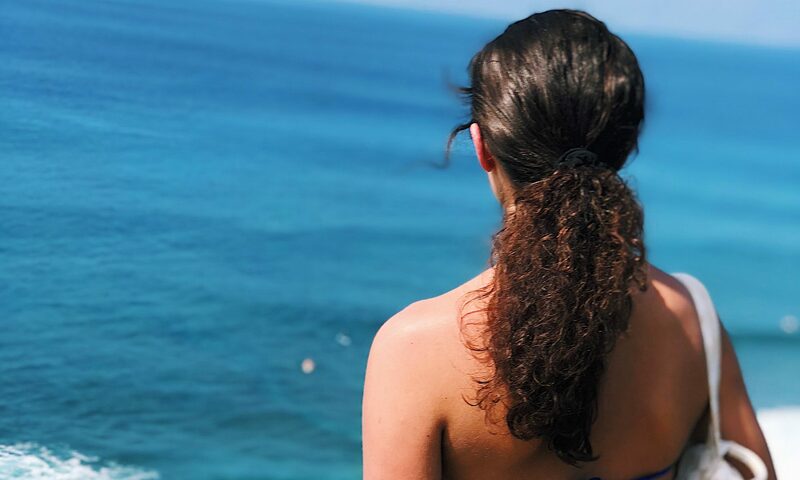 Travel has always helped me to open new doors within my mind, but one thing I didn’t anticipate it to have any affect over was my eating disorder. My eating disorder has ruled over many parts of my life for 7 years now, and it has shape-shifted and morphed into various forms of evil against my body. It originally started as a way to control. When things started to change in my life that I always thought were standard, I wanted to feel like I had the control over something. I was trapped in a cycle of deep self-loathing and abused my body in any way possible. And truthfully, I still struggle. My ED was exacerbated by family trips and visits home, but the first time I traveled solo I was able to get a taste of what my life would be like with out that need for control. When I was planning for my first Europe trip, I remember being concerned about knowing the calorie content of my food and getting increasingly nervous about eating too much and coming home heavier. But for whatever reason, those thoughts weren’t able to take hold and form into destructive actions while I was abroad. Maybe it was the gratification of knowing that my body had gotten me through a tough day of navigating my way through unfamiliar situations. Maybe it was the euphoria of constant stimulation and beautiful surroundings with new cultural experiences. Maybe it was the f*cking delicious food. Maybe it was all of the above. I began to realize how integral food is to making connections with other people. How food unveiled new cultural experiences. How food could be a necessity, a reward, a comfort, and enjoyable all at once. An entire pizza devoured in one sitting after walking all day while in Berlin. I lost sight of my goal of losing/maintaining my weight, and letting go of that made room for countless ideas, dreams, and goals that would actually improve my quality of life. Traveling invites an intense desire to dedicate every moment to making memories. I don’t regret a single scoop of gelato (not even my 3rd cone of the day). I don’t regret any of the dozens of mouthwatering macarons. I don’t regret the countless slices of pizza, and knowing the calorie content of anything I ate during my travels wouldn’t have added any joy to my days. Dessert after treating myself to fondue and a glass of wine (okay, maybe a couple of glasses) while dining at the top of Interlaken, Switzerland. Travel reminds me of the bigger picture. My body jumps to protect me no matter how malicious I am towards it, and if it didn’t, I wouldn’t have any of the experiences or memories that I do. I am able to see the world around me through a wider lens, and there’s simply no room in my mind to worry about the number on the back of my jeans when the current moment is what I want to give my undivided attention to. I agree 100% that travel helps with an eating disorder. It pushes you outside your comfort zone to be able to experience the things you otherwise would have labeled as off limits. I am going on a study abroad trip soon to Iceland, Denmark, Sweden, and Norway and was super concerned about how it would affect my workout routine + food choices there. Would I fall off track? Would I get huge?